You must have heard about the health benefits that you get by drinking green tea, considered by many people as the best anti-aging beverage. For example, in Okinawa, Japan-one of the places in the world considered to have most people who live longer, drink green tea daily. A widespread practice by the people who live here is taking a combination of steeped green tea leaves, turmeric and jasmine flowers throughout the day. Tea is the second most drink taken at large in the whole world. The first is water. But what are the benefits of drinking green tea? A lot of studies have found that regular drinking of green tea might help reduce the risk of getting heart disease. In this article we look at the 5 benefits you will receive by taking drinking tea. 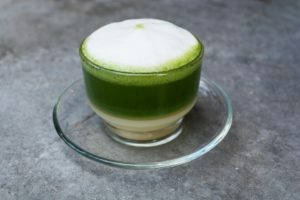 Evidence collected from several studies shows that consumption of anthocyanidin antioxidants and flavan-3-ols components found in green tea might be beneficial for cardiovascular and metabolic health. Green tea prevents risk factors for heart diseases like high blood pressure or cholesterol levels. Studies show that green tea has 10 beta-blocking compounds, 7 calcium channel blockers, and 16 diuretic compounds. Green tea has more ACE-inhibiting properties than any other plant foods that are consumed regularly. This helps increase the amount of blood your heart can pump and lowers the blood pressure. In a research carried out by Salk Institute, it was found that flavonoid epicatechin that is in cocoa, blueberries, grapes, and tea, helps improve memory ability in mice. The researchers realized that epicatechin promotes blood vessel growth in the brain. King’s college researchers also discovered that epicatechin might protect brain cells through mechanisms not associated with its antioxidant ability since epicatechin is a rare flavonoid that can cross the blood-brain barrier. The report from King’s college showed that epicatechin protects brain cells from the adverse effects brought about by beta-amyloid plagues. A study published by the Journal of Agriculture and Food Chemistry in 2010 based on an investigation on the effects of catechins on eye diseases found that taking catechins might help protect the eyes from vision loss and oxidative damage. Scientists at the University of Newcastle did a study on the effects of black and green tea on people with Alzheimer’s disease. In the laboratory, both types of tea prove to prevent the breakdown of acetylcholine, a neurotransmitter that is heavily associated with memory. They found out that both types of tea inhibited enzymes known as BuChE and beta-secretase. These enzymes reside in protein deposits found in the brain of Alzheimer’s patients. Researchers across the world have also found out that green tea catechins reduce the level of damaging free radicals in the brains of rats. Some studies show that intake of flavan-3-ols found in green tea might improve glycemic control as well as normalize blood sugar levels. As a result of its anti-inflammatory effects, green tea is believed by many to be beneficial for those people who are found to be at risk of having type 2 diabetes. The Green teas catechins seem to contain anti-obesity and antidiabetic effects. Green tea has antioxidants and other beneficial compounds such as flavonoids, catechins, linoleic acid, quercetin, theobromine and so forth. These have been found to provide significant benefits to people who drink green tea. Besides that, specific anti-aging effects and other benefits of green tea include help with weight maintenance and cancer prevention. To find out more benefits of green tea, you can visit Decuypere Chiropractic. This entry was posted in Health, Healthy living, Nutrients, Weight loss and tagged Brain, Diabetes, Green Tea, health, heart, Memory Loss. Bookmark the permalink.